of his favorite toys and most steadfast love. he confronts it face to face with patience, disdain, or irony. Show me the manner in which a nation or a community cares for its dead and I will measure with mathematical exactness the tender sympathies of its people, their respect for the laws of the land and their loyalty to high ideals. November 2nd is the second day of Day of the Dead or El Dia de los Muertos celebration in Mexico. This is not a day of burial, but one of commemoration and feasting at the graves of dead relatives and friends. 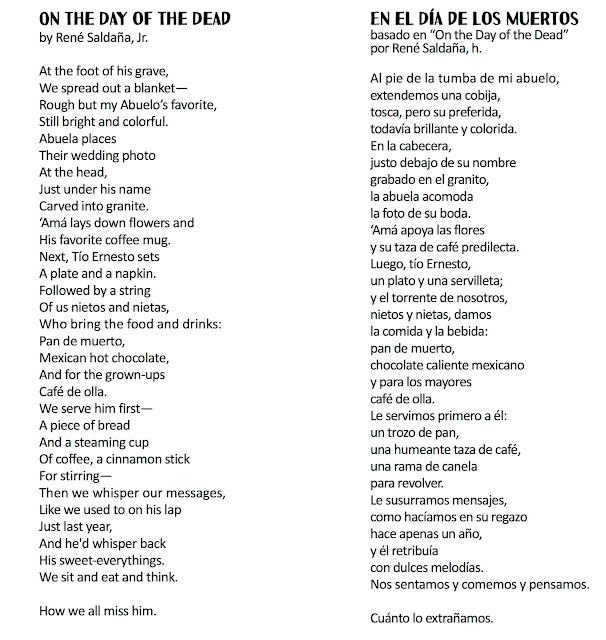 If this seems bizarre to you, think how lonely visits to graves must seem to those who honor El Dia de los Muertos. 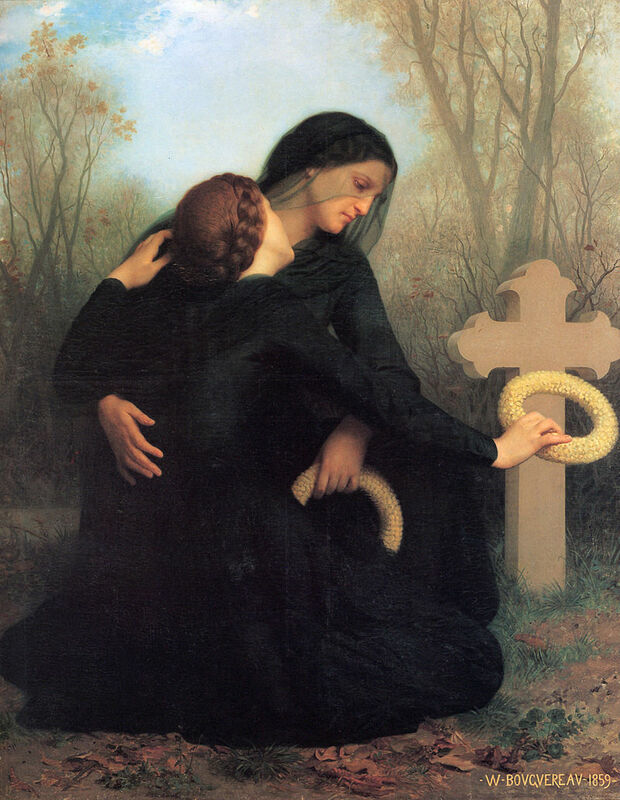 Your Challenge: In a new poem, bring us to a traditional way of commemorating the dead. in the spirit of the community. Don't forget to put a link to this prompt with your poem. Thank you for the prompt, Susan. 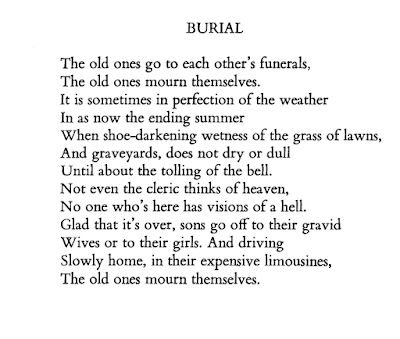 Death is our ineluctable ending as living beings and to be afraid of death is to be afraid of life itself. I feared where this prompt would take us, but your poems are so powerful I've already had tears and laughter and awe, and the day is young. I guess the message is not to fear lifting the layers to go deep inside. And now--I'm going back to bed! See you later. Oh I like this prompt, Susan, and love thinking about the traditions of other cultures around honouring their departed. I am glad you included the Dakota sacred burial sites in the feature, a topic much on our minds right now. I hope you feel better soon. Do take care. I'm late to the party but glad I made it. Good prompt Susan. Brought back memories. I posted early, entered at #10, however only now coming in to say Hi and have a good Wednesday. Also my apologies to those of you who have read my post for today already, for i have, after rereading make a few edits to correct spelling, including Line 2 of the first verse of the poem which i had earlier omitted, and putting a few capitals to words i had started with lower case. So glad to participate after a long time...thanks for the prompt Susan. I am relieved that you are back! I've missed you and felt alone without you! I hope to hear more about your experience while away. am i a sunflower too?